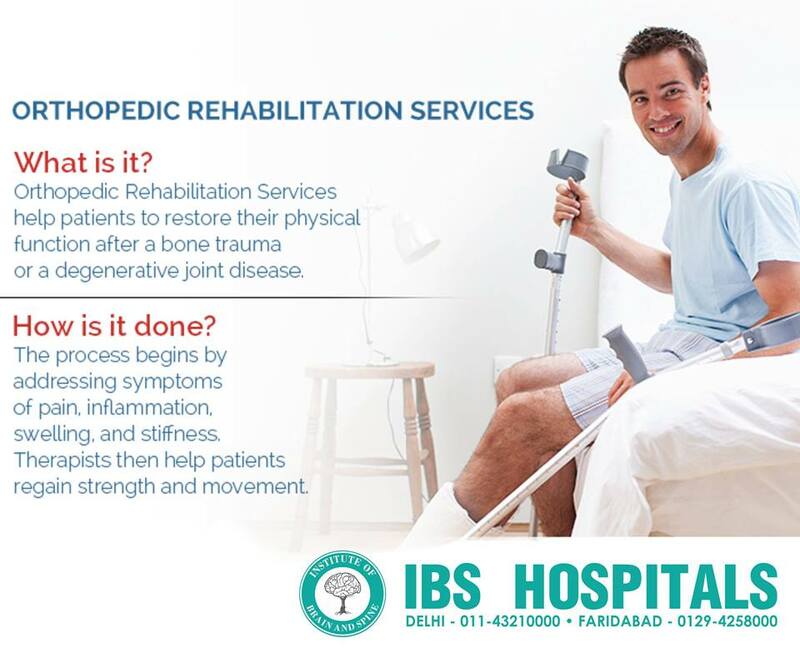 IBS hospital is a super-specialty Institute which aims to provide world-class, evidence-based treatment for various orthopedic disorders and sports injuries. We are one of the Best Hospital In Delhi and have combined expertise in the areas of patient-care, clinical research, and academics in order to provide the highest level of specialized services to our patients. We have the Best Orthopaedic Surgeon In Delhi who is experienced and dedicated for managing arthritis patients. We have a team of doctors who are supported by highly experienced physiotherapists and occupational therapist that provide out-patient and in-patient care to the patients. We have a team of highly skilled and dedicated orthopedic surgeons who have trained extensively in their respective fields. We are equipped with advanced cutting edge technology, like computer navigation system, high definition cameras, arthroscopic equipment for performing technically challenging procedures. Our state-of-the-art has "Bone Bank" for difficult cases like revision arthroplasty and bone loss following tumour resection. We have one of the best rehabilitation departments amongst all the hospitals in Delhi. We have a gait analysis lab, hydrotherapy pool, electrotherapy equipment and state of the art gym for rehabilitation. There is a dedicated team of musculo-skeletal anesthesiologists that provides excellent pre, intra and post-operative care. We have provide treatment for deep brain stimulation (DBS) is a treatment for suffering from Parkinson,s disease dystonia and most forms of tremors. The DBS therapy has been extended for the treatment of intractable epilepsy, refractory Obsessive compulsive disorders, depression and Progressive supranuclear palsies. In the deep brain stimulation procedure a very thin DBS Lead which contains four electrode contacts into the target area in the brain. These lead extends through a small opening in the skull and is connected to the extension that is then connected to an impulse generator or pacemaker which is implanted under the skin over the chest. We have one of the Best Neurosurgeons In Delhi who provide prevention, diagnosis, treatment and rehabilitation of disorders which may affect the entire nervous system including the spinal column and spinal cord. We have world class equipment and ensure the best care and quick recovery.